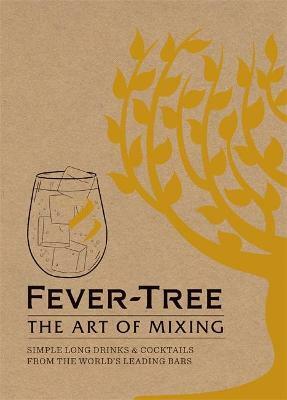 Fever-Tree was founded in 2005 by Charles Rolls and Tim Warrillow. The business is founded on a simple premise: to restore taste to mixers by using the highest quality natural ingredients. Following a "tonic tasting" on the US market, Charles Rolls - who built his reputation running Plymouth Gin - joined forces with Tim Warrillow, who had a background in luxury food marketing, to analyse the composition of mixers. They discovered that the majority of mixers are preserved with sodium benzoate or similar substances, while cheap orange aromatics such as decanal and artificial sweeteners (such as saccharin) are widespread. And so started a 15-month journey, with days of research at the British Library into quinine sources from as far back as 1620 and many trips to find the purest strains of this key ingredient. Five iterations of the recipe were tasted before Charles and Tim were happy with the result and the first bottle of Fever-Tree Indian Tonic Water was produced in 2005. Fever-Tree mixers are now exported to more than 50 countries and in the UK and US they are sold in several leading supermarkets, as well as bars and restaurants worldwide. Continually recognised for the quality of their products, the brand has won numerous awards in the UK, US, Europe and even as far as Australia, including six Taste awards, the Queen's Award for Excellence, several Grocer Gold Awards and Best New Product at Tales of the Cocktail.